The Darebin Falcons are flying high after Darebin Council last night agreed to contribute funding to the Club. The deal, which will see $160,000 provided to the club over the next two years, will enable the Falcons to continue fielding an elite VFL Women’s (VFLW) team and contributing to the wider Darebin community. The Council’s vote marks a significant step towards the target of increasing the number of women and girls participating in organised sport to at least 30 per cent by 2020. 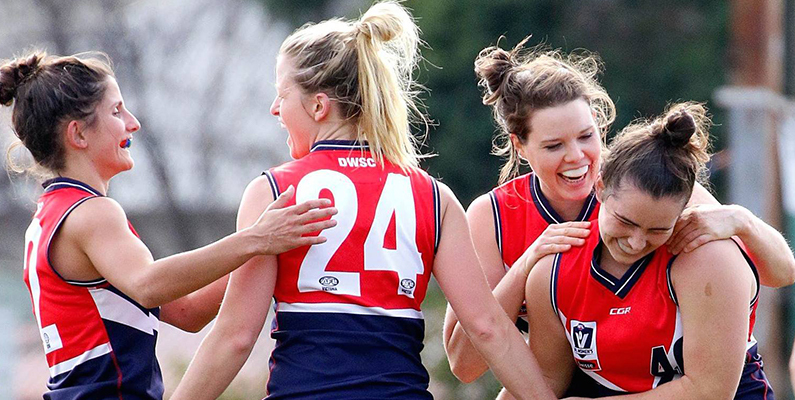 Darebin Falcons President Sarah Brady said that while their competitive success was unparalleled, the Club had continued to produce quality citizens and empower women both on and off the field for almost 30 years. “We share a long history of working together with the Darebin Council to achieve positive community outcomes through a combined commitment to female participation, gender equity and inclusion,” she said. “We are delighted that Council is committing at this level and excited to be able to continue what we started. Darebin Mayor Cr Kim Le Cerf said the Falcons played an important role in the community by pioneering and fostering sport run by women for women at all levels. “Their participation in elite competition is inspiring for women and girls and their commitment to social inclusion and community is outstanding,” she said. Through ongoing Council support, Brady said the Falcons would continue to provide an inclusive environment and quality programs that were focused on women of all ages across the four male dominated sports currently offered by the Club – AFL, soccer, cricket and 8-ball. “We understand that creating a sense of belonging truly enables women to realise their full potential,” she said. With Council support, the Darebin Falcons intend to set up new structures for future revenue generation with the objective of growing a “culturally strong and financially viable women’s sporting club for future generations”. Darebin Council has the option for a two-year extension which, if agreed, would come into effect in 2020.